What is Cryptocurrency? And Why Should I Accept It? Here is a good video on a Litecoin, which is one of the top 4 coins and is often referred to as Bitcoins little brother. This should help you better under the what & why. Interested in Accepting Bitcoin and Altcoins At Your Business? Here are some good videos for your watch and learn why you should start today. Jaxx: Mobile-based wallet for your cryptocurrency, but it can also function on Windows, MacOS, etc. This amazing wallet supports over 7 cryptocurrencies. This wallet is particularly known for its pairing feature, its easy-to-use feature and its security. To ensure the security of funds, this wallet stores private keys on the device of users, thereby making it impossible for anyone else to control your funds. Like most wallets, Jaxx generates a 12 seed word which would help users to restore their funds in the event of the loss of the device. This wallet is designed to ensure that both amateur and professional crypto traders' can easily create an account and have their funds transferred to their address. Features: Easy to use. The user is in total control. 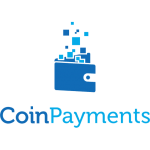 Coinpayments: This is a web-based cryptocurrency wallet, and it also has a mobile app. This wallet supports over 70 cryptocurrencies and to ensure that the wallet is secure, it adopts the Multiple Signature and Two-factor Authentication (2FA) technologies. This wallet affords users the opportunity to vault their token, that is they can store it for a particular time frame. To ensure that users get total control of their funds, this wallet is compatible with all mobile devices. Users can view and transfer funds with their Android and IOS devices from anywhere. Features: Multi-coin wallet. Integrated with BitGo, App support. Ledger Nano S: This is a hardware wallet, the size of a USB memory stick, and it comes with a small LCD screen. This has been referred to as the most secure cryptocurrency wallet around. It also happens to be the least expensive hardware wallet. To confirm transactions with this wallet, users will have to press a button beside the hardware wallet. For further security, this wallet has a 4 digit PIN which will be inputted before any transfer is carried out. This is put in place to prevent hack of any kind. Features: Supports different currencies, Easy to use, PIN security option, Backup and restore. Please do your own research to make sure the merchant services business meets your unique needs. 3.The merchant works with cryptocurrencies like Bitcoin, Litecoin, and over 420 different coins. They also offer plugins for WooCommerce, PrestaShop, Magento, etc. To ensure security, this merchant adopts and makes use of the two-factor authentication (2FA) and the Multiple-Signature technologies. Each deposit on this platform attracts a 0.50% fee and a coin will be deducted for each withdrawal. This merchant supports the use of POS which can be used accept certain payments in person. In over 182 countries, this platform is used by over 234,500 vendors. This platform was designed mainly for people who want to accept cryptocurrencies but do not want to go through the stress of accepting one cryptocurrency. 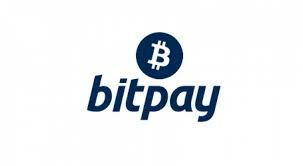 The CoinPayment platform affords them the opportunity to accept over 65 cryptocurrencies at the same time. 2.The platform provides Bitcoin and Bitcoin cash processors for merchants. It supports fiat currencies including US Dollars, CAD, Euros, etc. Users can make direct bank deposits, and there is a USD Bitcoin debit card. The main aim for the creation of this platform is to help provide a gateway or medium through which businesses could start accepting Bitcoin as a form of payment without having to invest in technology. This platform operates in Atlanta and has over 60,000 merchants on its platform. Pros: Popular, Shopping cart plugins Con: Debit card only for the US. 1.This is the perfect platform for the exchange of cryptocurrency, trading of bitcoins, and receiving fiat currency. Insurance of bitcoin deposits. It has been described as the largest Bitcoin broker in the world. It affords merchants and vendors the opportunity to buy Bitcoin with a connected bank account, Interac Online, SEPA transfers and a host of other payment methods. Based in San Francisco, this platform offers developers API and an exchange wallet. Pros: High Liquidity, Relatively low fees, Multi-sig system. Con: Accounts are monitored.